I am working at FireFly for the past weeks and looking into some Feedback for it. 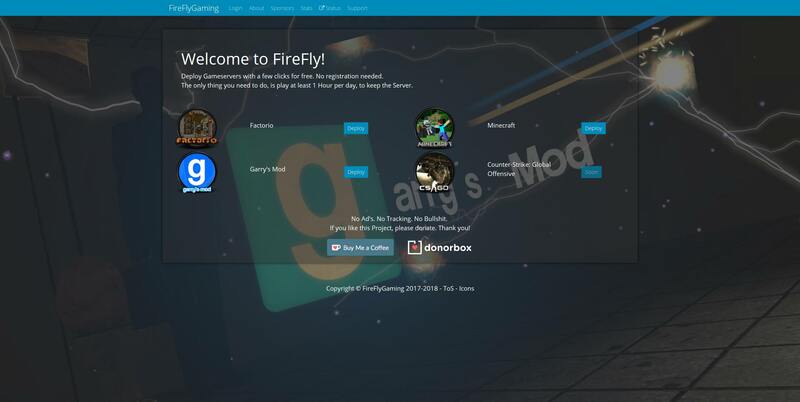 FireFly basically lets you Instant Deploy free Gameservers, which get extended as long the Server stays active. Currently we got 2 Locations, Canada and France, if the demand is there, we will extend these Locations. You just need to keep playing 1 Hour per Day, you could also play 4 Hours in a row which would give you additional 4 Days of runtime. If you want a Game or a specific version of Game to be added to FireFly, let me know. nice one, how long do you plan to run that for? There is never a Plan how long to run it, it runs as my other Projects on the existing infrastructure. As long people use it, I keep it Online. Thanks, already 2400+ servers deployed. Bigger Patch planned for end of this week/next week. Which basically makes it possible to offer 2 kinds of gameservers. Laze: Runs as long a Player is on the Server, Data will be saved for up to 14 Days. Active: Runs as long the Account has enough points (24/7), if the account runs out of points, the server gets switched to Laze. You can upgrade your server from Laze to Active if needed. You need to think of a way of monetizing that. 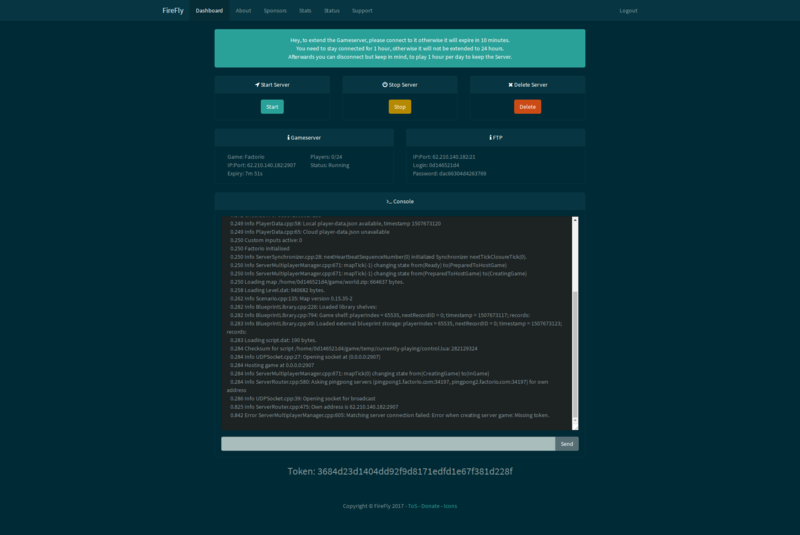 Well, we still have the Project running based on Donations, maybe in the far future. If you notice any issues, let me know. The progress that you are creating is undeniably good. This might be worth a plug on another forum, Ant..